In the summer of 2017, Ahaus designed and built a semi-automated machine for a global company in the field of suspension design, driving comfort, and safety. The Ahaus machine was similar to others we had designed and built for this customer over the years, but contained some significant upgrades. 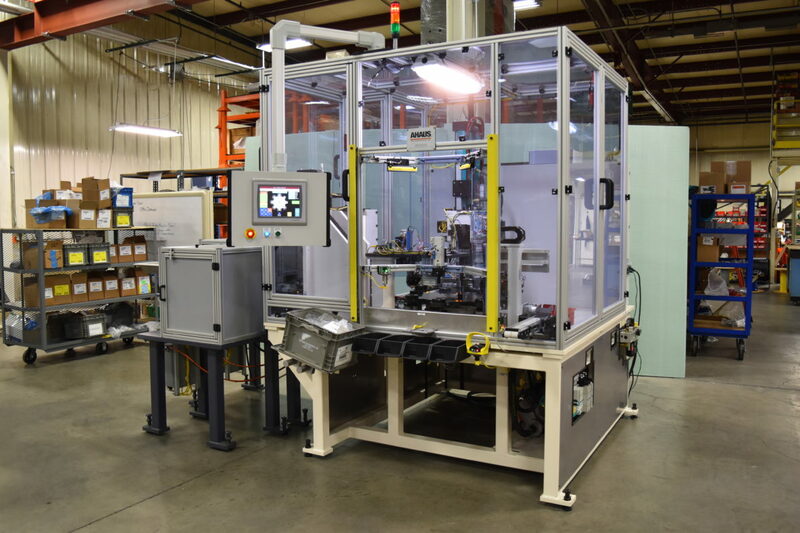 The Ahaus machine builds a variety of wet seal packs that are used in multiple types of shocks produced by the customer. Ahaus engineers and toolmakers incorporated a sig pod monitoring system as well as SICK analog positioning sensors. These upgrades allow for a sub-13 second cycle time, saving this customer time and money.